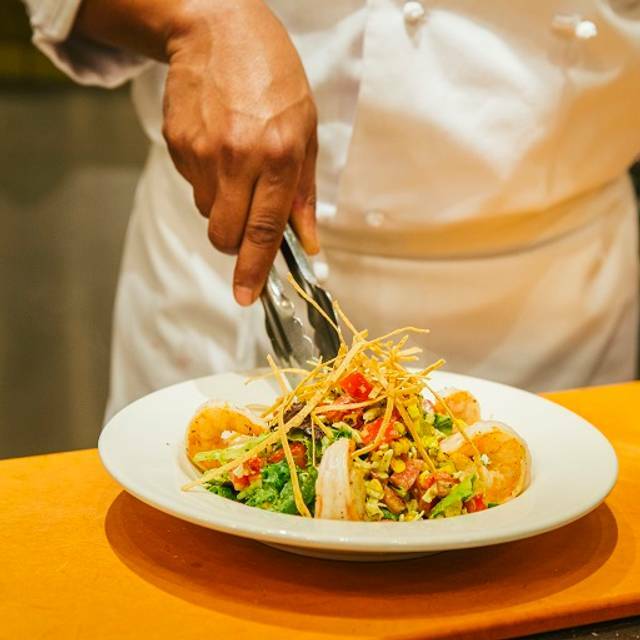 Bold flavors elevate beloved bistro classics in chic and inviting Bazille. 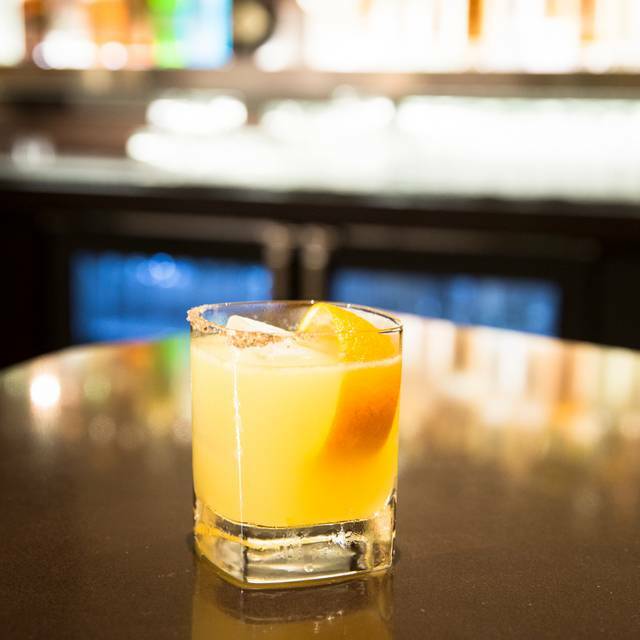 Meet up with friends at the bar for internationally sourced wines and handcrafted cocktails. 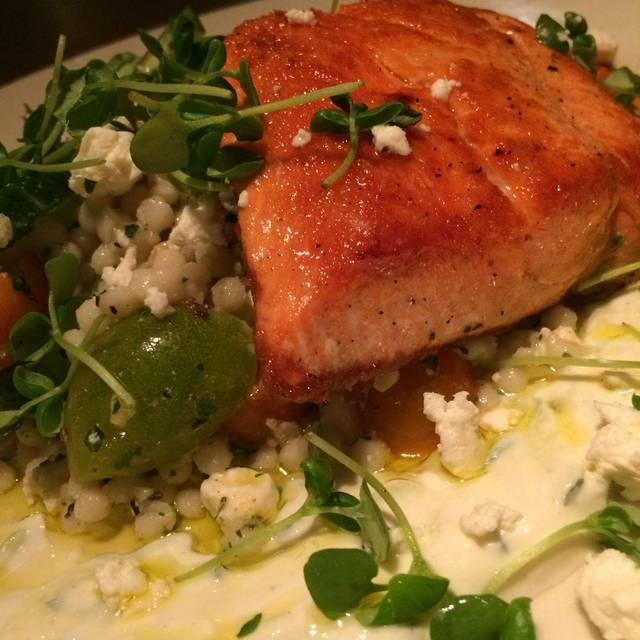 Stay for appetizers, salads, brick-oven pizzas and our tempting housemade desserts. 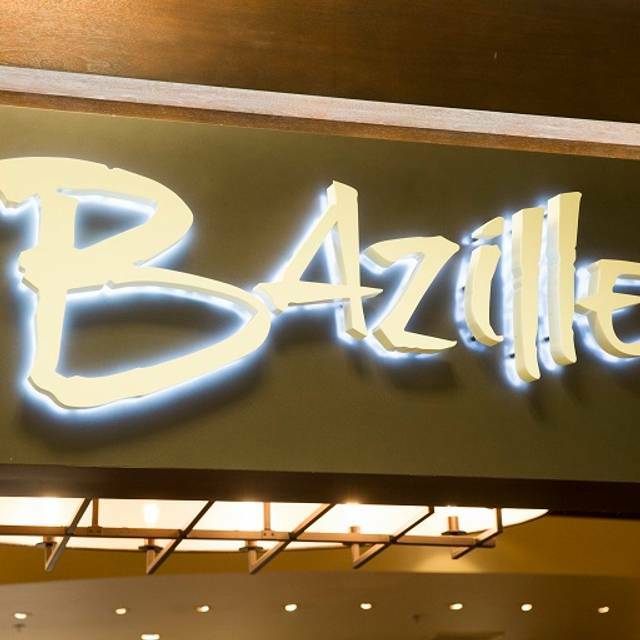 Bazille's casually sophisticated atmosphere is located on the second floor of the Plaza in Nordstrom. We were seated in the bar area not really the restaurant area, which was upsetting to people in my party. The waitress did not write our order down, which resulted in 1 person's meal being incorrect. They did bring out a new plate. I am gluten free and only 1 entree was GF. Love this restaurant! The food is always great and the chocolate cake is amazing. I always enjoy the cilantro lime salad with shrimp. Lettuce is nicely covered with dressing and the shrimp are grilled to perfection. I can never resist the fries with the dipping sauce. Such a nice relaxing place to chill before venturing back out to shop! So glad they finally brought back the delicious Salmon Nicoise salad! It has been gone too long. The quality of food has certainly come down. I have been coming here for years. The size of steak is much smaller, food quality definitely not what it used to be. One of the dishes we ordered came out a little over cooked and server did not hesitate to get us a new one. Excellent Asian salad, but a little to heavy on the dressing. Onion soup was fair. Service very good. Noisy restaurant even with very few patrons that afternoon. Perfect spot for ladies who lunch, with or without shopping bags, an elegant lunch with kids or a quiet solo. I enjoy this restaurant every time I am in the area. Love the fact I can use Open Table for points even when dining alone. Good food, smaller portions! Menu changes that may have you thinking! Why? Great service, attentive, helpful and accommodating for substitutions! Overloook the fact that it’s in a Nordstrom. The food is fantastic. The King Pao Brussels Sprouts were off the chain good and the steak frites was fantastic! 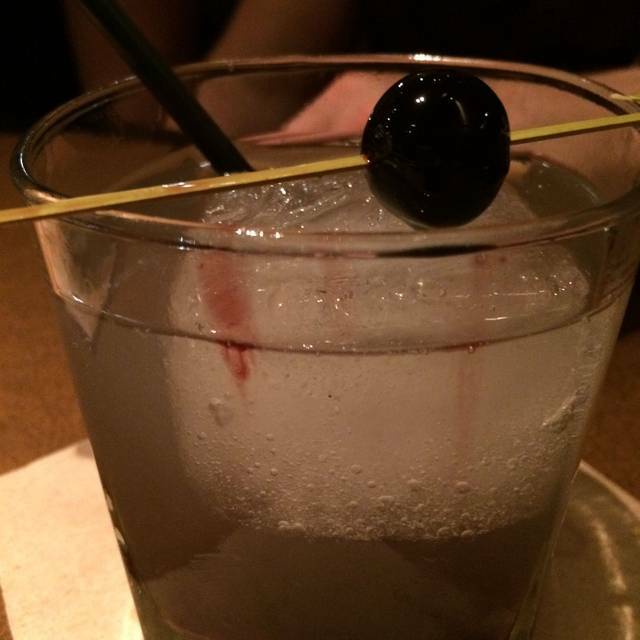 Better yet, the bartender made me a perfect Old Fashioned! I was beyond pleased with my meal!! Food is always good and a good option when you are in the mall. Our hostess did not have the best attitude compared to others that we saw during our dining experience. We sensed that she would rather be somewhere else. Despite our hostess’s attitude, we’re rating our overall experience high because everything we enjoyed the food and ambiance. Always the best for lunch or dinner. It’s a great place with the best food and service! As always, our server made us feel very comfortable and accommodated our order tweaks and followed up to ensure our food was prepared to our expectation. We were served quick and not rushed through our meal. It can get a little loud at the height of lunch, however Bazille remains a pleasurable experience. Great food, all from scratch. Best fries anywhere. Great experience. Food was great and so was the service. Even oblige to my personal request. Love this place. Our server was great, very efficient, enthusiastic and pleasant. The food was just so-so. I had a salad with wild salmon. Salad was fine-- fresh greens and flavorful dressing-- but the salmon was that mingy little tail end of the fish and was a bit overcooked with a thick layer of bland pesto, no lemon or lime to spark up the flavor. My friend had a margarita pizza, which was fine but nothing special. I would recommend it as a convenient and reasonable place to lunch while shopping, but the noise level is so high that you can't hold a conversation. Bazille has been a “go to” fav of our for years! Not so anymore. First, the noise level is beyond belief. Impossible to have a conversation in a normal tone of voice - you must yell. Then to add insult to injury they have the techno music to fill in any gaps in the din. Menu has changed and not for the better. They don’t have a lunch menu anymore. Same menu all day. I couldn’t eat the dish I ordered, my husband had a club sandwich (hard to ruin). Their fries are still among the best to be found. I’m finished & wont go back. The two most important areas for us was service and the quality of the food. First, our server Youssef, was OUTSTANDING! He was friendly, helpful and attentive. Other members of the waitstaff team contributed with perfect timing and pacing to keep our glasses full and the meal progressing. As far as the food, it was also outstanding. The only value detriment was the price of the alcoholic drinks. They were good but overpriced. Definitely will return, nonetheless. Great menu, atmosphere, could hear each other talk. Server was fine. We walked in at exactly the appointed time and were seated immediately. Our server was perfect; there when we needed her and not when we didn't. Both meals were ample and delicious. 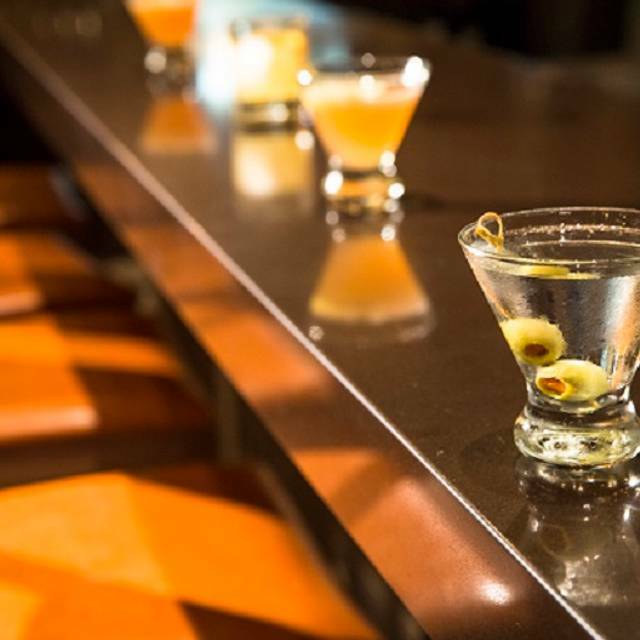 Bazille is a perfect respite from shopping at the mall. If you are a man, your woman will love the location. It's inside Nordstrom! The prices were to high for the quality of the food. It was not bad, but Applebee's and Chilis are not bad either, and for a better price. Nonetheless, the Mrs. enjoyed the location. The food was delicious as usual. 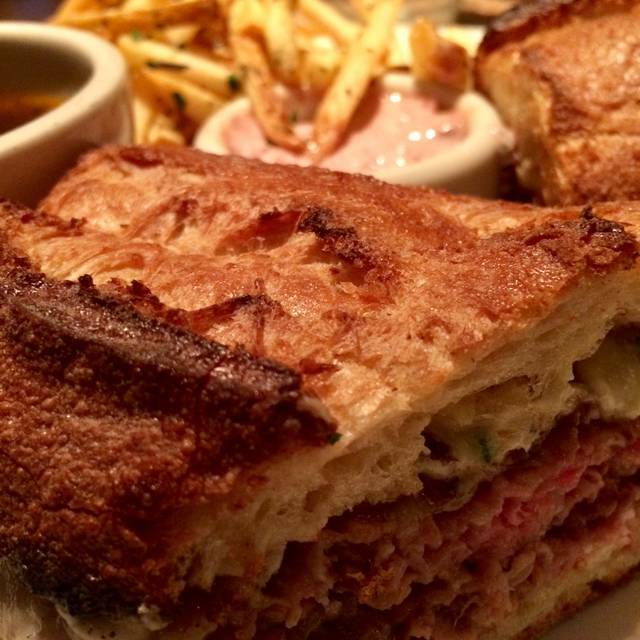 Two of us ordered the Prime rib sandwich with fries. The meat was tender and moist. Another order was for a hamburger; my friend said it was excellent. The other friend ordered the pasta with sausage; I think it was a special that day. She loved it. 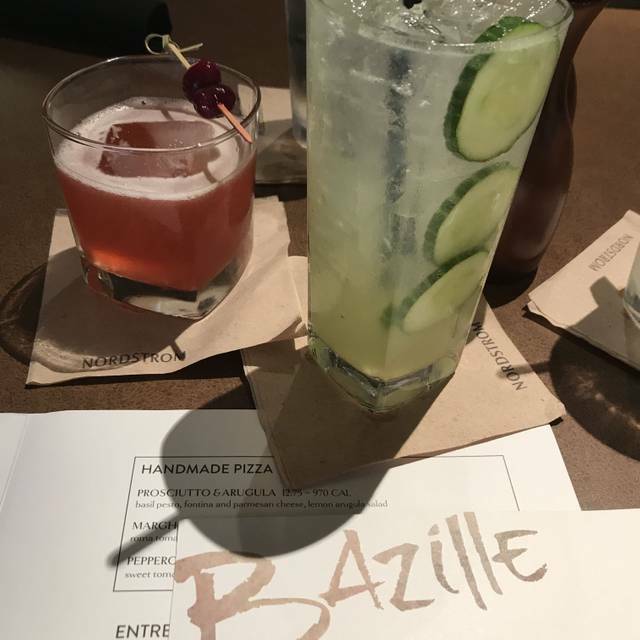 Bazille is one of the best places to lunch when you need to relax and refresh from a busy shopping day. The food is exceptionally well prepared, with many menu options. The servers are attentive and wonderful, making your experience even nicer! Just be prepared that this is a popular place and quite noisy. Could have put about three more shrimp in the salad. Waitress was very nice and efficient. The prices are quite high. Noise level almost intolerable, can’t some acoustic tiles be hung from the ceiling to soak up this noise. Service by Michael was excellent, food very good but noice level intolerable! We were celebrating a friend's birthday. Jay was our waiter. From the beginning he made us feel welcome and gave us all the time to visit and share a few laughs and suggestions on what to order before he asked if we were ready to give our order. Jay was attentive without intruding - a 5* waiter for us on this fun experience. Jay brought the cake that was placed in the cooler and even take home boxes for us. We felt no pressure to rush and had a great time. We were very happy with our experience and am planning the next birthday treat. Food is always great along with the service. Great place for a get together with friends. Consistently delicious. You can't beat the fresh dip and fries with olive tapenade. So Good! 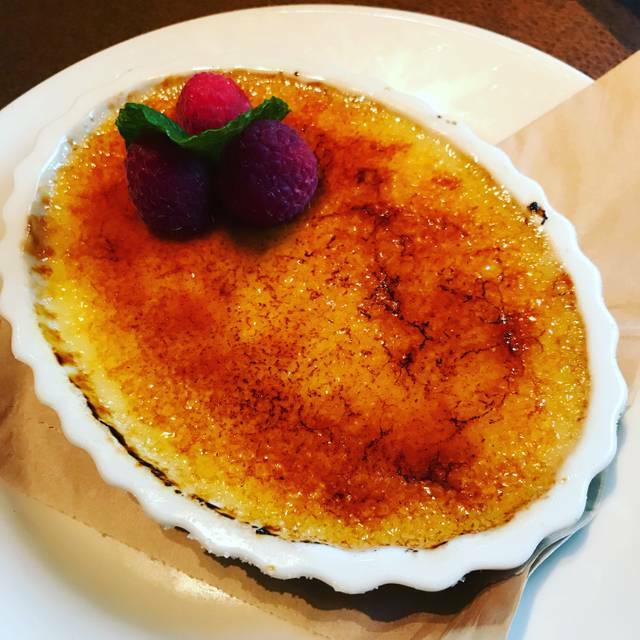 Great drinks, dinner, and desserts along with awesome service. Will be back very soon! Enjoyed our meal! Service was awesome as usual!!! One of our favorite places to eat!! Very good food and best soup turkey and bean chili! It wasn’t too busy and loud. Noise is usually a big problem. Fun Sunday lunch at Bazille, always tasty and the service is wonderful! We always have a wonderful meal. Always tasty! We also have wonderful servers who tend to our every need. Thanks for a wonderful outing.